Sixty-two years ago next week my mom and dad were married and set out as a couple to start a family that would number eleven children, 20 grandchildren, and nine great-grandchildren. Three of those littlest ones are my oldest son’s children, though looking at him and his family many would see only two. And two years ago today they only saw one. Here’s what I wrote when his second child was born. My granddaughter was born yesterday….plucked out of the womb at 8:36 am. Perfect in form and health…praise God. At 8:36 am on August 18, 2012 her life is considered as having begun. She is one day old today, we would say, and will be two days old tomorrow. I have had two grandchildren from the moment this little girl was conceived. Before even her parents knew she existed…she existed. Before their son was born almost two years ago, he existed unseen. My daughter-in-law was a “mother to be” before he was conceived. Once that momentous event occurred, she was a mother…and my son a father. And me, a grandmother. Though we would not see his precious face for nine more months. A child in the womb is considered less than human by many individuals, legislatures, and courts, though there is undeniable life separate from the mother. That life at first looks quite different from the form that emerges from the womb after nine months. But if it’s not human life, what is it? An ali en possession? I bristle every time I’m reminded that in many states and countries, a child’s life can be legally snuffed out as long as it is hidden in the womb. What happens at birth that miraculously transforms this life from something expendable to one that deserves to be protected? So, at 8:15 yesterday morning, was my granddaughter less than human and therefore deprived of any legal right to life? Does that make any sense at all? And if you acknowledge that at 8:15 she was as human as she is now, how about at 8:00? How about a week ago? A month ago? Where do you draw the line? The miracle of life is that when a single egg and sperm unite, a brand new, living human being is formed that is months away from being recognizable as such, yet contains within it marvelously complex and complete “seeds” that with time and nourishment will grow to be the organs and appendages and assorted body parts that we do recognize as human. Just looks like a ball of cells at first, but should we really expect new life to begin any other way? 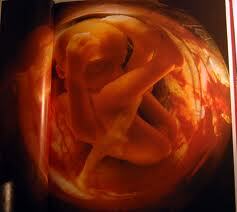 Is there any way outside of a direct miracle from God that it would begin life fully formed but microscopic in size? Would we then be assured that it’s human because it looks like a baby only much, much smaller? A zygote is a living being, and a human zygote is a human being. And your birthday is the day of your birth, but it’s not the first day of your life. ← Do you believe in man? Thanks for the congratulations, John, but as for the rest of your comment…I’m beginning(?) to think that you just like to argue. If “the medical, scientific, and legal definition of death…is when EEG activity ceases” that is because they are specifically referencing born human beings. Plant life, germs, etc. never have EEG activity. Does that mean they are not alive or never die? The human zygote has human DNA and grows and changes, taking in sustenance, and at some point can cease to do those things at which point it is no longer living. You can have your definition of life and others have theirs. That’s why we have philosophers of science and other disciplines. I’ll continue using my common sense and believe that a marvelous bundle of human cells that rapidly grows and develops body parts and organs, and moves and responds to stimuli is really alive. Yes, human life. Apologies, I thought that was obvious. And no, its not my definition of life, rather the collective definition shared by the legal, medical and scientific worlds. It is fact, and facts are facts: they are enormously discourteous. I like the way you think Caroline.